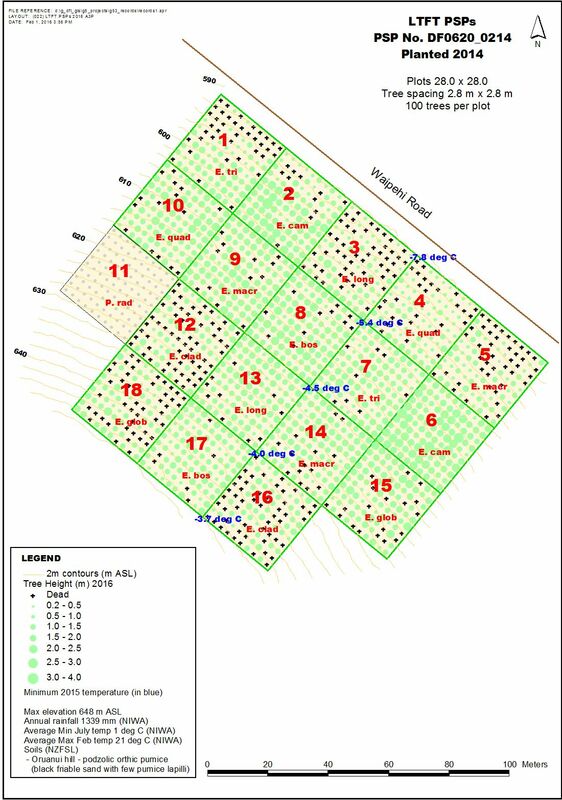 Over 200 Permanent Sample Plots have been established throughout the NZDFI trial site network. The data gathered from these plots over the years will be fundamental to the project. PSP measurements have been completed in the summers of 2013-14 and and 2015-16. This demonstration trial was established in 2011, and has been measured twice. This demonstration trial is on a pine cut-over site, was established in 2014, and was measured for the first time in summer 2015-16.